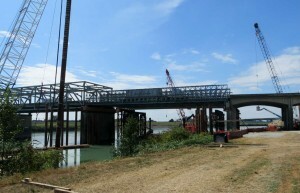 Just after the I-5 Skagit River bridge collapsed 2-1/2 years ago, I wrote a blog entitled Food & Bridges on how food and bridges are vital to a highly functioning society and neither gets the respect they deserve. We take the basic necessities of daily living, food, water and infrastructure for granted. Consequently, we are disconnected from where our food comes from, expect unlimited quantities of water, and demand unclogged, well-maintained roads and bridges. Food is expected to be available at Trader Joe’s, our local restaurant or farmers market without a hiccup. Trucks deliver our food on roads and bridges from local farms, warehouses thousands of miles away and fields in Mexico and beyond. Our food system is dependent on well functioning road infrastructure, but unfortunately it is not according to the American Society of Civil Engineer’s Infrastructure Report Card. The condition of American roads is “D grade” costing drivers $101 billion in wasted fuel and time annually. Seattle has the 7th worst traffic in the nation. On a normal day, our roads and bridges are so heavily traveled and congested, partly because Seattle is located in the neck of an hourglass tucked between Puget Sound and Lake Washington, but also because there are just too many vehicles. One traffic accident ripples through the rest of the transportation system causing delayed dinners, flared tempers, and missed soccer games. In March 2015 at 2:30 p.m. in the afternoon, a semi truckload of salmon tipped over closing all southbound lanes of State Highway 99. Not until after 7 p.m. was the truck righted. Two and a half hour commutes were not uncommon. Now, just four days ago a tractor trailer carrying frozen food blocked all four I-90 westbound lanes causing multi-mile backups and again, gumming up the transportation system. These are only two of the vexing traffic woes both caused just by food delivery trucks. There are countless more fender benders, roadside distractions, and tragic fatalities adding to unpredictable commute times, wasted, fuel and unproductive time. Ultimately the problem is too many vehicles and not enough vehicular capacity. The traffic problems agitate, frustrate and anger Seattlelites daily, but just as important, but not as pronounced is the health of our food system. We eat every day and are dependent on food to live. Despite a 20% increase in one western Washington county’s value of agricultural products coming off their farmland, food production lands cannot competitively compete with the value of real estate for other uses including, housing, retail, office, preserved wildlife habitat or new road construction. 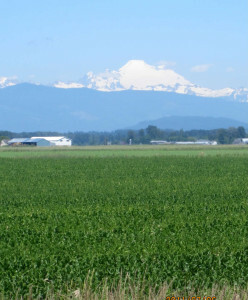 According to the 2007 United States Department of Agriculture’s (USDA) Agriculture Census, $3,182 per acre was the average market value of products sold in Whatcom County, Washington’s most northern county I-5 abutting Canada. This revenue per acre is the highest of any of the Puget Sound I-5 corridor counties from Whatcom to Pierce County. Whatcom County specializes in higher value raspberry, blueberry and strawberry crops. In the same 2007 Ag Census, Snohomish County had the lowest revenue per acre at $1,635 per acre with principle crops being horses, nursery, floriculture and sod. Five years later the USDA issued the 2012 Agricultural Census providing another glimpse into the financial health of our Puget Sound farm economy. Whatcom farmers’ earnings actually decreased 3% from 2007 to 2012 to $3,085 per acre or almost $100 less per acre. 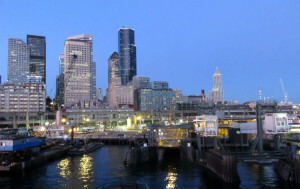 Between 2007 to 2012, all other Puget Sound farmers saw increases in market value per acre. King County farmers earned $2,585 per acre (2012) for a 0.1% increase, Pierce County farmers earned $1,838 per acre (2012) for a 5% increase, Skagit farmers earned $2,360 (2012) per acre for an 8% increase, while Snohomish County farmers had a 20% increase in market value to $1,968 per acre (2012). Over the same period, the Consumer Price Index (CPI) increased 11%. Ostensibly, Snohomish County farmers had a banner five years earning substantially over the Consumer Price Index when compared with their neighboring County farmers. Dig a little deeper and with a 20% increase in Snohomish County’s product market value, these farmers earned 4¢ per square foot. It’s important to use the square foot cost, as it is the commercial real estate industry’s tool for measuring land and building values. Real estate professionals are ultimately the competition for most undeveloped land also known as farmland, forest land and open space. Today downtown Seattle Class A office space, which is considered the premium space, is offered to tenants at more than $30 per square foot. That’s not just the square foot on the ground, but every square foot for each building story. The value of Class A office space at $30 per square foot cannot even begin to be compared to the value of farmland at 4¢ per square foot. Now we aren’t putting skyscrapers on farmland, but often residential housing is a real possibility. A 2,000 square foot house selling for $200,000 is $100 per square foot. These numbers also out compete farm revenue! One could ask, why be a farmer when you can make so much more money selling your land for development? Because farmers perform the most important task for our livelihood, they grow the food we eat. Without farmers, we would have no food. As members of the eating public, we need to support our local farmers and create real financially viable solutions around farmland preservation. Well, maybe not skyscrapers, but where development wins over farmland, why not build higher density? Compact instead of sprawl. Seems like a real opportunity to redefine what it means to live at the intersection of city/country.